Finally, I can share some more photos from Marrakech with you. Here in Royal Mansour‘s pink-walled labyrinth of enchanting gardens filled with beautiful plants, made me feel like I am in a “1001 Nights” dream. The word “medina” (in Arabic: مدينة‎ madīnah) means “city” or “town” in modern Arabic. A medina is typically walled, with many narrow and maze-like streets. 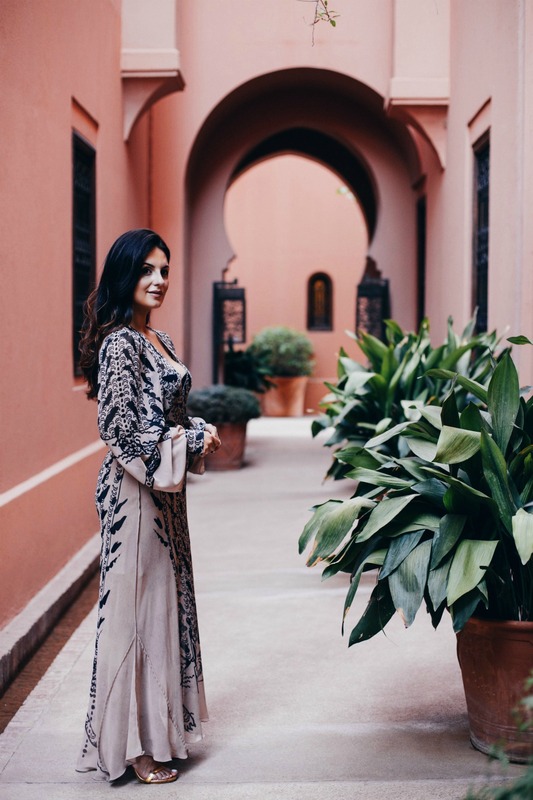 Royal Mansour’s gardens fascinated me with its labyrinth of enchanting gardens of vivid and sweet scented florals and amazing vegetation of plants. All those tall palm trees, exotic citruses, fruit trees and plants are laid out in geometric designs around a beautiful relaxing central water fountain. Marrakesh is on a roll as enterprising locals and expats reinterpret Moroccan traditions in fashion, architecture, food, and nightlife across the city. I had the opportunity to experience many beautiful places in this vivid, exotic and chaotic city, about which I will tell you more in my next blogpost. 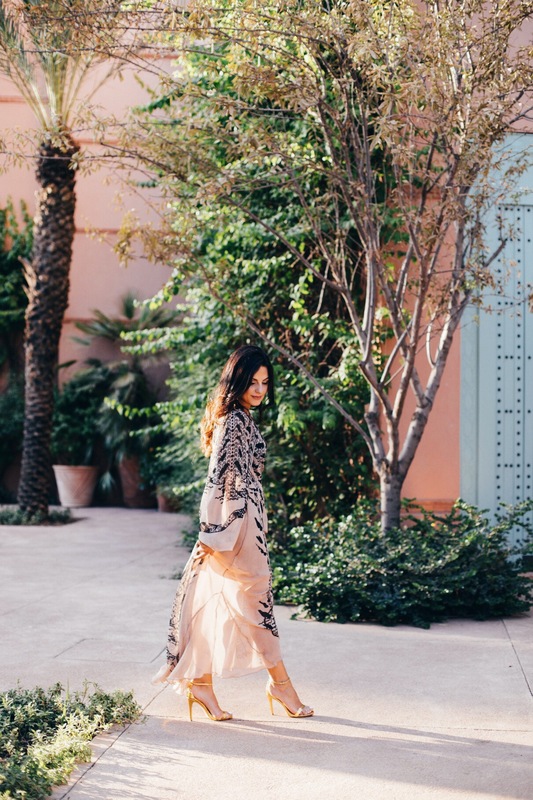 Matching the beautiful Royal Mansour’s exterior and Maroccan style, I choose this long chiffon dress from H&M studio collection and gold high-heeled sandals. Here the photos were taken in front of our Riad, and more about Royal Mansour read here. These photos are ridiculously beautiful! The architecture of the place you shot at is so unique and stunning, and your dress is so glamorous! I love everything about this, doll!